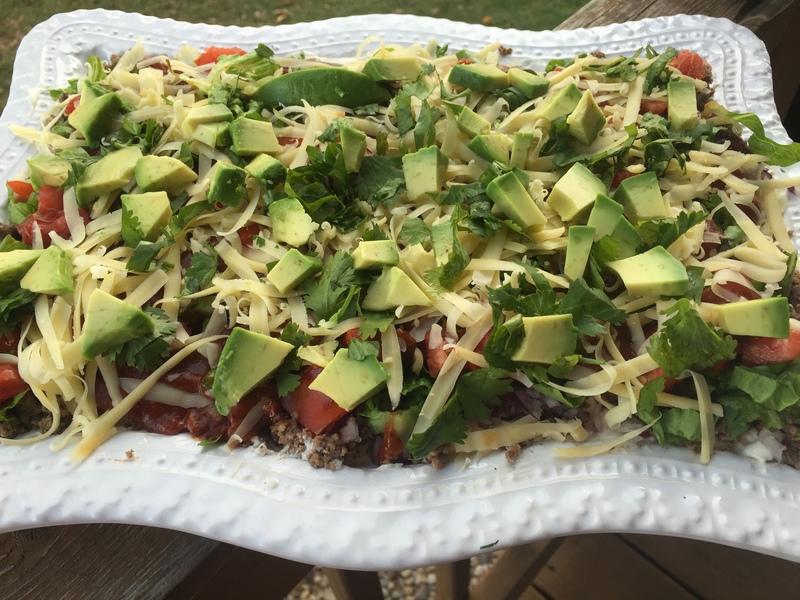 I first had this amazing Layered Taco Dip at my friend Crystal’s house on a cozy Sunday evening visit. I could not stop eating. It was so good. So I asked for the recipe. A few weeks later, her sister Charlene sent these pictures and recipe for the blog. I was delighted as it should be spread far and wide. Appetizers of all sorts are so good. One thing my in-laws do which I think is such a cool idea – is every Christmas Eve, we all bring different appetizers for supper. The table is spread with all sorts of delicious dips, bloomin’ onions, seafood, wings, fruit trays, veggie platters, homemade candies, chocolate dipped pretzels, you name it. And its so good and filling. A Christmas Eve tradition that I think we should keep! I’ve spent all my free time holding this little sweetheart. She’s just too perfect. 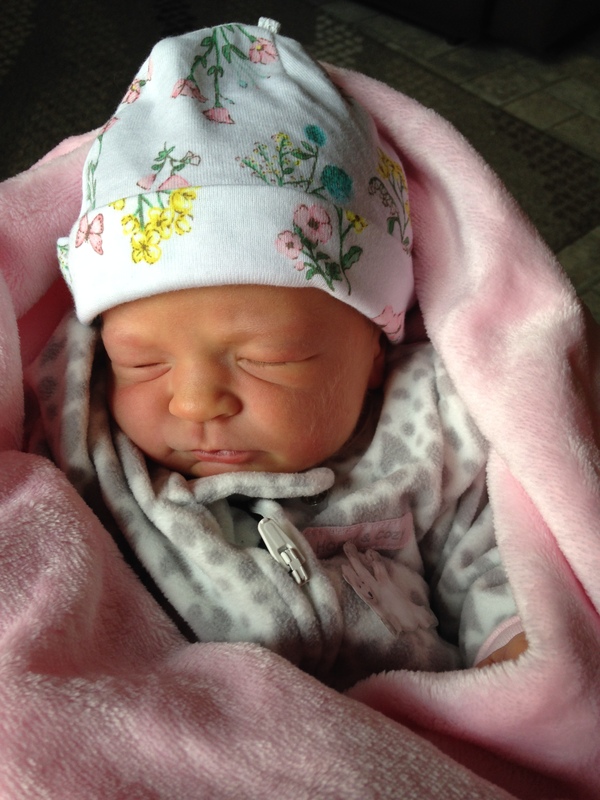 Chloe is anyones dream baby…. sleeps, and eats, and hardly ever makes a fuss! She’s perfectly content to be snuggled and cuddled by her admirers all day. DIRECTIONS: In a skillet, fry beef till no longer pink. Add seasonings and remove from heat. In a bowl, combine cream cheese and sour cream. Spread on a 14″ serving platter or pizza pan. Top with meat mixture. Sprinkle with tomatoes, onions and lettuce. Drizzle with barbecue sauce. 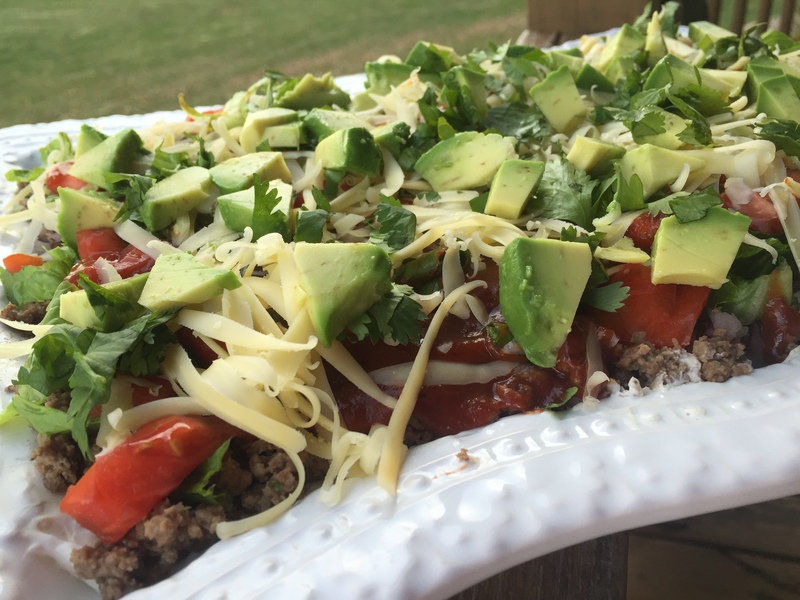 Garnish with avocado, cheese, and cilantro. 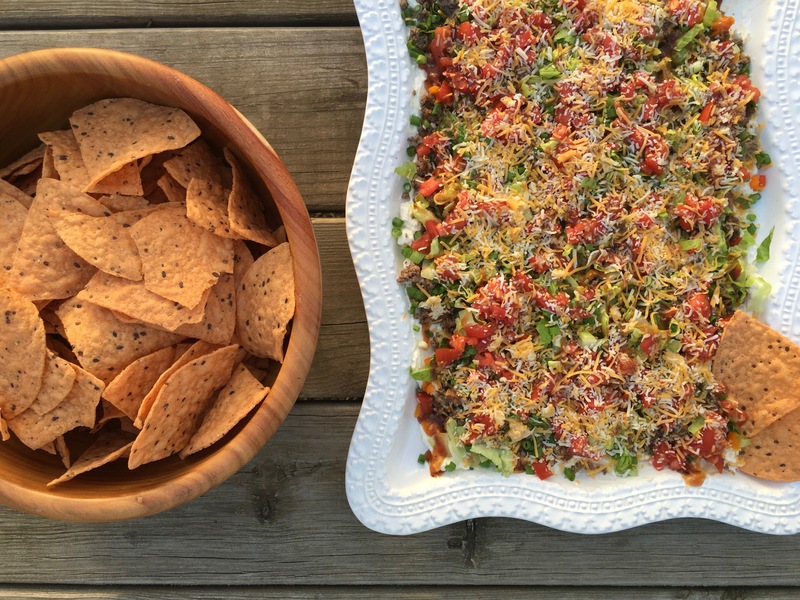 Serve with fresh veggies THM-S, or baked blue chips for a THM-crossover.